Uglyworld #1436 - Post Superbowl Sleepies (Project TW - Image 37-366), a photo by www.bazpics.com on Flickr. The good thing about Wage and the gang being small is the fact that when they choose to steal some of my beer, it normally ends up being one of two bottles at the most and then they're out for the count snoozing it off. 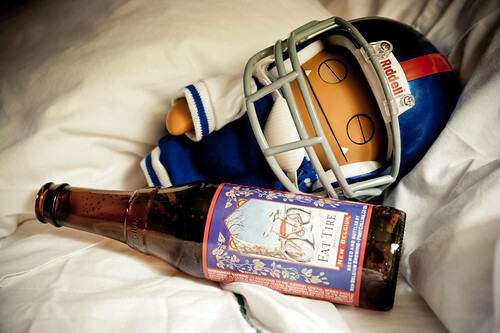 Last night after the super bowl finished Wage cracked open a bottle of Fat Tire...we're now a full day later and he's still snoring away...all the more cookies of me, ha ha!